I didn't know that until now, when I found the links to the two QuickTime VR panoramas at panoramas.dk. 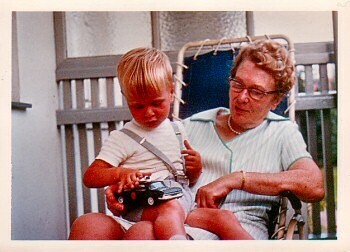 That's me and my grandmother. And a police car. No records survive if I wanted to become a policeman then.